Whatever fits this definition is God or Allah. He is the only one worth declaring God. 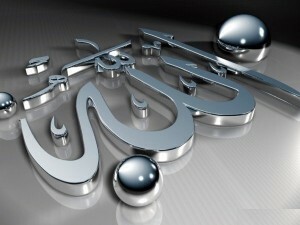 Kalma or Kalima is an assembly of a few words that is the identity of a Muslim. Kalma is the basic principle that connects the person to Islamic spirit. It is the declaration of belief and faith in Islam. The acknowledgment of the truth brings peace and humility in life. The moment you say these words from your mouth and believe them from your heart, you are a Muslim. The kalma has many benefits; first benefit is humility that comes with it. Nobody is a good Muslim unless and until they are first good human beings. The acknowledgement of the fact that there is a higher power to which the man is accountable for it actions, according to some specific rules explained in the doctrine of truth “The Holy Quran”. 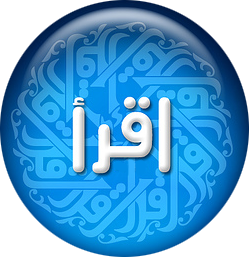 Surely, Lá iláha illalláh is the Word of Islam and the key to the dwelling of Peace (Paradise). The kalma rejuvenates the concept of piety. The most precise and subtle announcement of One God, this itself makes this kalma divine and heavenly. In the first part of the kalma man denies the divinity of anything and anyone except Allah; accepting him as the only one worth worshipping. And the second part is related to Muhammad (Peace be upon him), He is the most beloved Prophet and the last messenger of Allah. Acceptance of Prophet Muhammad (Peace be upon him) as the last and final messenger is the latter step that completes the transformation into a muslim. To believe in One Allah, all the Prophets of Allah, the holy books, the Angels, the Day of Judgment and Predestination are the articles that complete the faith. We will discuss them later. Please do comment and rate!